Quest was born on September 21st, 1994. 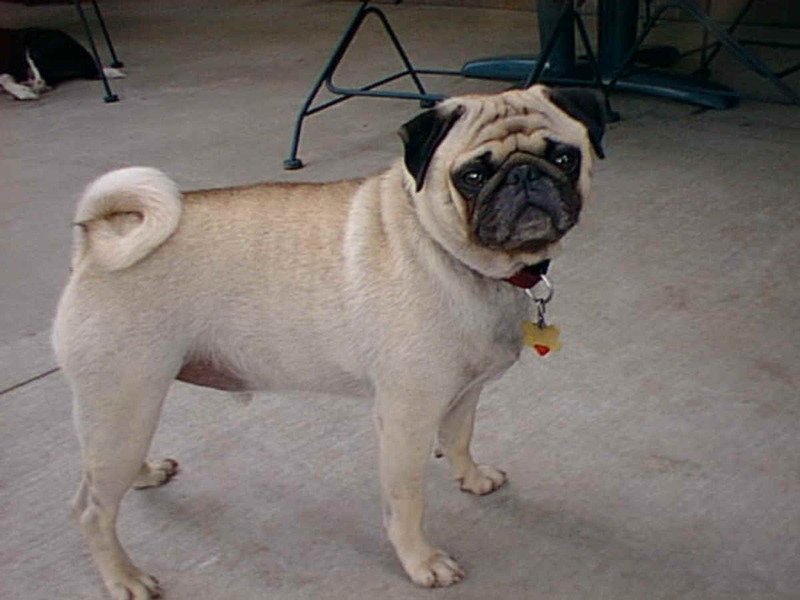 He is a healthy active Pug who likes to sleep, eat, and bark at anything that moves. His favorite food is anything from the dinner table and he likes to run with the "big dogs," Corky and Emmy, in his spare time. He is currently dodging the grabby little hands of Katie & Kirstie who thinks he is the perfect target patient when they play doctor. 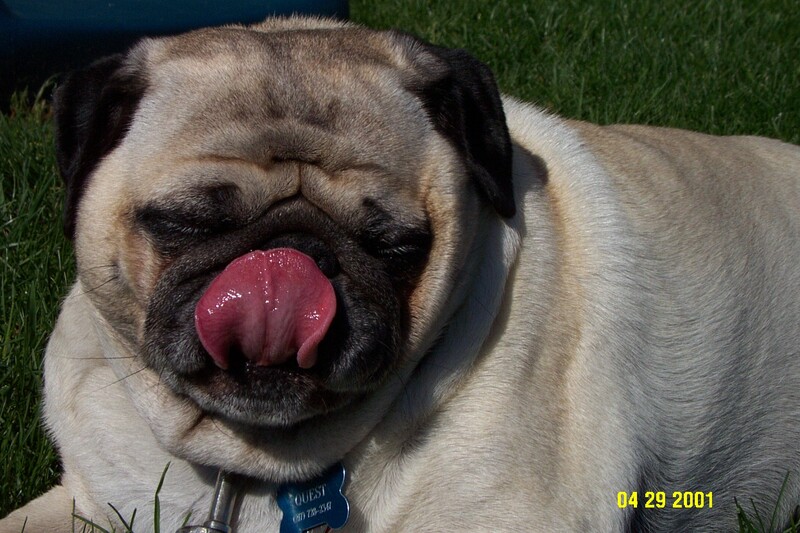 To learn more about pug dogs, please visit Quest's Pug Pals page. I will not pee in the house or mark the furniture as my territory. I will not bury dog biscuits in the couch and let them rot. I will not beg for food when my doggie dish is full. I will not roll around on mommy's computer cords and disconnect the modem. I will not bark at the mailman, he is not marking the mailbox post like I do. The horses across the field are not "big dogs" so I don't need to bark at them. The end of the round on "Wheel of Fortune" does not mean guests have arrived. When I do manage to chew or squeeze out of my puppy pen, I will not do it in the middle of the night and go jump on mommy and daddy while they sleep. I will not try to swallow half a pig ear and then redeposit it on the couch. I will not pee on mommy and daddy's bed. I will not hike my leg on the corner of mommy & daddy's bed. I will not pee on mommy's pillow. I will not chew up daddy's underwear. I will not try to attack the neighbor's cat through the window and knock out the screen. I will not bury my bones, pig ears, or other slimy objects under the covers in mommy & daddy's bed. When sleeping on mommy & daddy's bed, I will not dig and scratch to get under the covers and then fall out the end of the bed in the middle of the night. I will not trade my kibble for Cocoa Puffs. Even though they look the same, I am old enough to know better and I should set an example for Katie & Kirstie. I will not chew up Katie's stuffed toys, even if she never plays with them. I will not walk around behind Kirstie sniffing for dirty diapers. I will not jump into her baby pool unless we are specifically outside to swim. When the girls throw up, it is not a treat for me. I will not pee on the guest's coat, even if it happens to be laying on "my" couch. I will not jump on a guest wearing pantyhose, or those with bare legs exposed. Since daddy calls me "Snot Rocket," I should reserve my sneezing for him and not startle a guest who may reach down to get a closer look at me. I will not mount my stuffed toys when guests are visiting. I will not sniff a guest excessively in embarrassing areas. I will not follow guests into the bathroom and watch them potty. I will not fall asleep on a guest's lap and snore loudly, especially if they are all watching a movie. 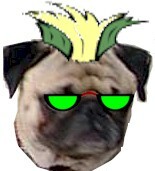 Even though my nickname is "Spoofer", mommy says passing gas for the guests is not polite.